At the Union Square emporium, chocolate-filled pipes weave around the ceiling and decadent confections sit atop tightly packed tables. With a menu that instructs guests to "Get addicted, be happy," this isn't a place for self-control. Expect chocolate to show up in some unexpected places, like waffle fries dusted with chili and cocoa powder and a dessert pizza made to share. The whimsical kids' menu includes such delicacies as the Chocolate Oatmeal Trophy and the Melting Marshmallow Crepe (with gummy bears, vanilla ice cream and, of course, more chocolate). Sweet tooths, rejoice! Pretty much a must for chocolate-lovers! We ordered the grilled sandwiches and fries first, though I felt these were both pretty average with the fries particularly tasting a bit dry. At $15 a go, this was a bit disappointing. The star of the show is no doubt the chocolate itself – we ordered the European chocolate fondue tower, which is definitely big enough for two! This delight comes with three different hot chocolate pots, marshmallows, pieces of Max Brenner's classic cookie, mini brownies, strawberries, bananas and a mini grill to toast all of these on! It was all really tasty, and ended with me declaring that the cookie was possibly the best I've ever eaten. I’d wanted to come here for so long. I’d walk in, smelling the scent of chocolate in the air, only for the wait to be too long to sit down. I had a cup of hot chocolate from their shop at Bryant Park around Christmas once, but it was too sweet and just tasted like a melted candy bar, so I had to give their actual store a real chance. My boyfriend and I ordered a ’S’more concoction’, which came out looking like something someone would call a ‘deconstructed s’more’ on Chopped. It was a cup of graham crackers and chocolate, with cold marshmallows and warm bananas on the side. It only resembled a s’more, and tasted way too rich and too sweet. I’m willing to give the restaurant one more chance though. 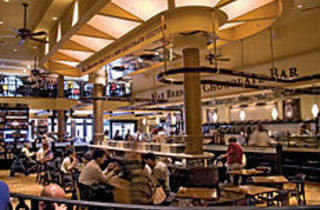 I love Max Brenner. I never have to wait more than 20mins for a table and you can make reservations in advance. I don’t really like their savory items, but love their desserts. This place is right across a movie theater, so after watching a movie you can go hang out here and eat dessert. Officially on my favorite brunch places in New York. While they specialize in chocolate, it's actually quite easy to make a reservation or wait about 20 min for a table on the busiest of times for brunch. I recommend the waffles to share and their burgers are quite filling. I don't like chocolate at all, but this was pretty fantastic. They have different 'levels' of chocolate for each hot chocolate - white, milk and dark so I loved it. I got the Italian Thick which was very good. There were a lot of people ordering food and it looked very good and very plentiful. It's a perfect place for a cold day and there's lot of seating. The hostesses were friendly and the service was pretty fast. A go-to for all chocolate lovers! With its variety of chocolate, both in solid and liquid forms, you'll get such a sugar high from all of the amazing treats. They also have lunch and dinner, but make sure to save plenty of room for dessert. From hot chocolate to dessert pizza to ice cream sundaes, you will definitely get your sweet craving fix at this place. Be warned they do not take reservations (at least they didn't the last time I was there a couple of years ago), and the wait on any night could be 1+ hour. Try to go during an off-time, it will also be less touristy then. I recommend the fondue, any of the hot chocolates, and the molten lava cake (picture below). If you don't have time to sit and enjoy the food at the Union Square-based restaurant, chocolate treats are on sale in the front of the restaurant. Although I am not a chocolate lover, my husband loves this place as do I. They have great sandwiches and other eats besides chocolate. My husband says the chocolate is phenomenal. It is a very touristy place, but is still great. Beware of the prices. The portion sizes are generous so don't over order. 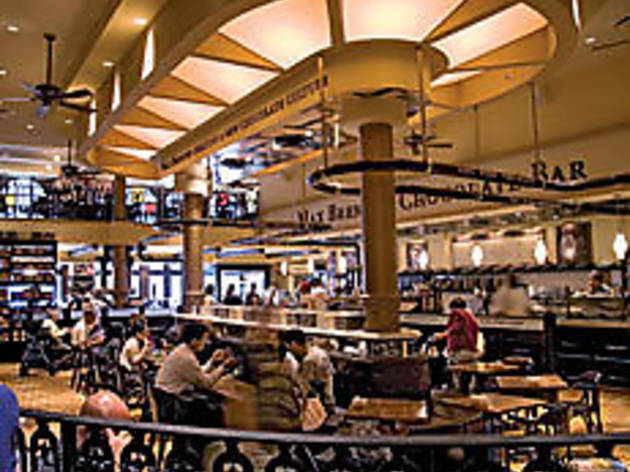 For those with a sweet tooth Max Brenners is the place for you. They serve hot and cold food which is great, but, there really is only one reason why people come here...CHOCOLATE! Mountains of the stuff! It's not Hershey, don’t panic! Its actually very good! There are a bunch of these restaurants dotted around Manhattan. I do recommend the store near Union Square which is a really funky area of Manhattan that has a lot of artists/students around so you can have a walk around there to work of your food baby. I still wake up in the middle of the night pining for the delicious melted chocolate that graced my lips whilst here. Women will love it here. I promise! Please try the chocolate fondue! It is so good!